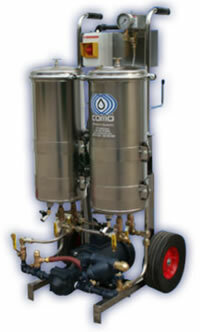 Product image of our Case Studies - Watercraft Test Tank Water Filtration Study. PROBLEM: A watercraft manufacturer had a problem with the test tank water getting so contaminated that they had to wash down the hull after each test run. 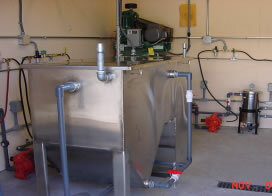 The test tank was laden with carbon, oils, dirt, and hydrocarbons from the test and manufacturing process. The problem was unique in that 98% of the particles were smaller than 5 microns. 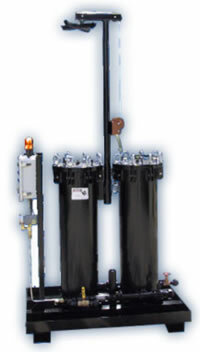 SOLUTION: After analysis and research, JDI, Inc. recommended that a filtration system continuously filter the water. After installation of the purification system, the hulls are clean and water quality greatly improved. The test tank visibility was such that the floor of the test tank could easily be seen and they no longer need a full time employee to clean each and every hull.